Great news, we have our chief instructor down again this July. It’s an open seminar, so anyone who is interested in Israeli martial arts KAPAP/Krav Maga/Israeli Jiu Jitsu. This is a perfect opportunity to train with the best in the business. Never trained before this is an ideal opportunity to start. The workshop will be 6/7 July and will be at the Norman Centre, Bignold Road Norwich and will cost £35 per day. The session’s will last from 10am to 3.30pm, there will be breaks but it is advisable to bring a light snacks and plenty to to drink. Avi Nardia is Ex training instructor for Israeli’s elite counter terrorism unit Yamam. Over the years he has built up over the years a formidable skill set, few can follow. His workshops are fun and with no ego. 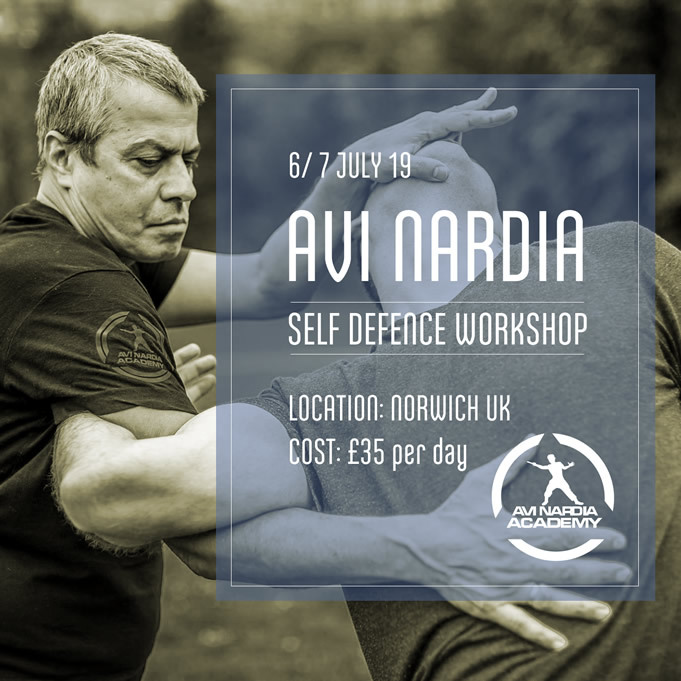 If you haven’t trained with Avi before the workshop will be a great insight in the KAPAP system which is built around a concept of 5 main principles.